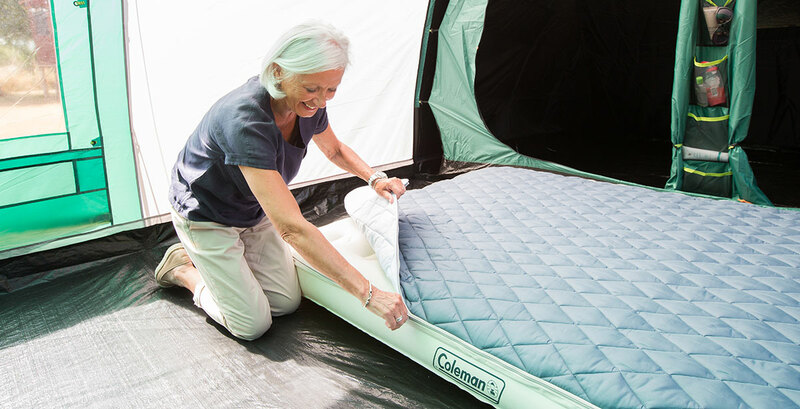 Coleman airbeds and inflatable furniture can be inflated and delfated in no time at all, enhancing your comfort on the campsite. At the end of your trip they pack down into small pack sizes for easy transport and storage. You'll feel like you're sleeping on air! The generous dimensions and supportive coil structure of our single and double airbeds offer a comfortable night’s sleep. They combine extra comfort with leak-free reliability thanks to Coleman®’s exclusive Airtight® system, with patented Double Lock™ valve – which means you can rest easy.